Controversial radio personality and pioneer Don Imus is the host of the American radio show Imus in the Morning currently broadcasted on WABC and Fox Business Network. Don Imus was the brunt of media fury in 2007 when he described the females of Rutgers University’s basketball team as “nappy headed hos”. He tried to retract the degrading racist remark implying that it was done in jest. Imus’ falter caused his Imus in the Morning show to be cancelled by MSNBC. Imus was inducted into the Radio Hall of Fame in 1989. He’s the winner of three Marconi Awards, two for Major Market Personality of the Year (1992 and 1997) and one for Network Syndicated Personality (1994) and was also named one of the 25 Most Influential People in America in Time magazine (April 21, 1997). Don Imus was born John Donald Imus on July 23, 1940, in Riverside, California. His father John Donald Imus was a cattle ranch owner; Imus and his younger brother Fred Imus were raised in California and Prescott, Arizona. Imus was considered a wild child; he changed schools frequently until he permanently dropped out of high school at age fifteen. He joined the Marine Corps in 1957 and was discharged at the age of nineteen. On leaving the Marines, Imus worked a number of odd jobs before landing a disc jockey role at KUTY radio station in 1968. After leaving KUTY in 1969, Imus tried his hand at other radio stations where he made a name for himself with his wittiness and on-air pranks (one of which resulted in the Federal Communications Commission ruling that demanded radio personalities to identify themselves when telephoning listeners); he settled with WNBC in 1971. Whilst at WNBC, Imus recorded three record albums, two for the RCA Victor label, and one for the Bang label, that featured humor pieces from his previous radio stints and comedy-acts. After a break from WNBC due to alcoholism and other inappropriate behavior, Imus returned in September 1979 as its morning drive time host; between 1982 and 1985, Imus worked with talk radio host Howard Stern who would become his competition in later years. 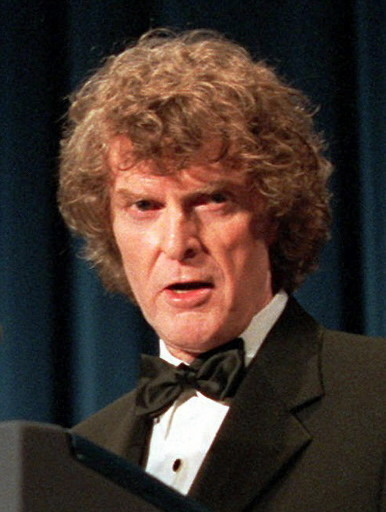 During this period, Imus was best known for character Billy Sol Hargus, a radio evangelist, and also published the 1981 best selling novel God’s Other Son. In 1988, WNBC radio was bought by Emmis Broadcasting which retained Imus in the Morning on their network. The radio show became nationally syndicated in 1993, and began simulating on MSNBC in 1996. Imus continued his satirical and acerbic attitude on air. Imus in the Morning continues to run on Fox Business Network with recent guests such as Mark Halperin, TIME Magazine’s senior political analyst, Dr. Aaron Katz, the Vice Chairman of Urology at Columbia University Medical Center and political commentator Sean Hannity. In 2005 USA TODAY reported that a doctor who once took care of sick children at Don Imus’ New Mexico ranch sued Imus for slander, claiming he made false derogatory comments about him on his Imus in the Morning radio show. In 2007 Imus received profound negative publicity when he made a racial comment about the members of the Rutgers University’s women’s basketball team and was subsequently sued by one member Kia Vaughn for slander and defamation of character. The remark also got Imus booted from CBS temporarily, and tainted his 30 year career. In 2008 USA TODAY again reported that Don Imus was sued for more than $4 million by an advertiser on his former show for badmouthing the company.